tips, tricks & recipes for using a thermomix. I came across this recipe when a patient of ours gave us a huge bag of oranges so after making a few litres of juice I wondered what to do with all the fibre my juicer had kept. This recipe is based on one I found online which I added a few things to to make it a bit healthier (and even tastier I'm sure!). The consistency is amazing, really dense and moist! You also DO NOT need a Thermomix for this recipe, just simply beat or mix by hand and it is just as good. 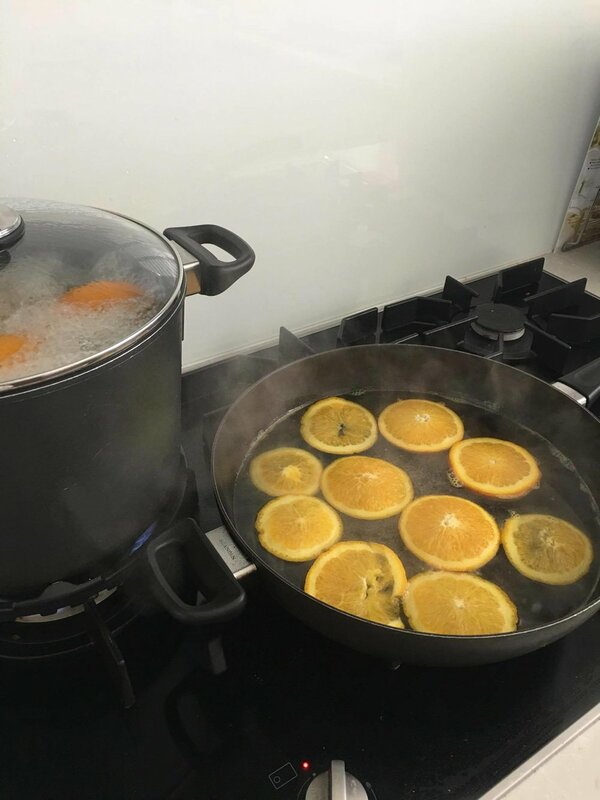 In these images I am making candied oranges to decorate the sides with (NOT SUGAR FREE haha) but didn't end up using them as the fresh orange looked much happier! Bake 180.C for 30mins or until a skewer comes out clean. Allow to cool for 5 mins in the tin and then transfer to a wire rack. Serve warm with butter or cream for a decadent option or as is for little people! Yum! If it is too runny, either add more cream cheese or for a stiff icing like Eve's birthday cake I added a tiny bit of arrowroot flour as it is white in colour and basically flavourless until I was happy with the consistency. Use a spoon to place the icing on the cake and a soft silicone spatula to spread the icing. 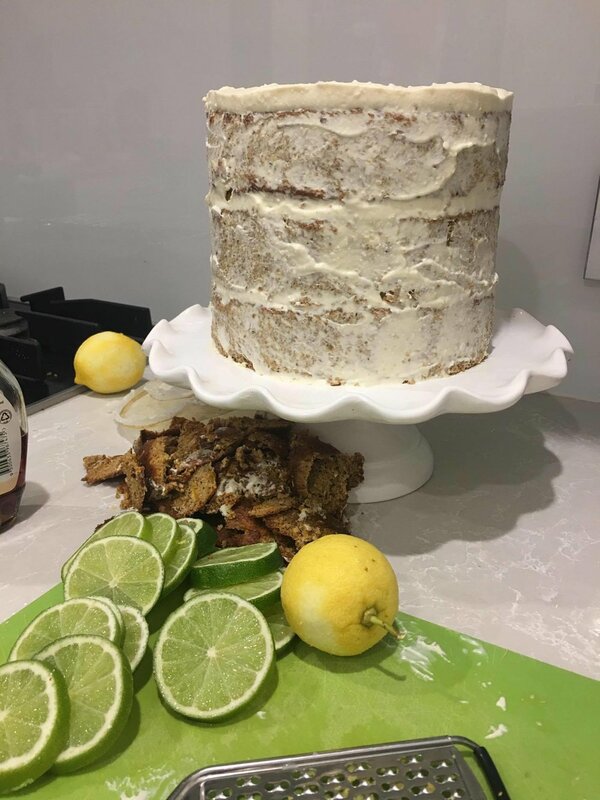 For a naked cake effect before icing the cakes, allow them to cool completely and then very gently using a sharp bread knife shave off the edges of the cake then ice when ready. I iced my triple layer version of this cake slowly in steps. I allowed the first thin layer of icing to set and then filled in the gaps on the second go, and finally piled the top nice and thick with icing so I had something to help stick my decorations into. If sticking fruit pieces or flowers onto the side and top of the cake, insert portions of straws into the cake side and insert flower stem inside. For fruit pieces simply use tooth picks to hold them in place, or cut thin wooden skewers down to size and use in the same way.